Available with us are Non Clog Slurry Pumps that can be availed by clients as per their requirements. 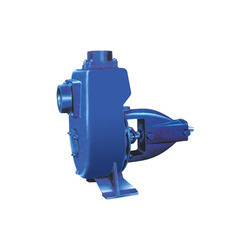 The wide variety of pumps we offer are useful in different industrial applications. These pumps are known for their sturdy construction, error free functioning, low power consumption and durability. We are manufacturer & trader of Sewage Pump & Vertical Pumps. Our product range also comprises of Centrifugal Pump, Chemical Process Pumps. Looking for Non Clog Slurry Pumps ?